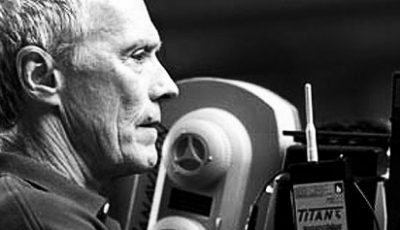 Not only one of Hollywood’s most iconic film stars, Clint Eastwood is also one of tinseltown’s finest directors. 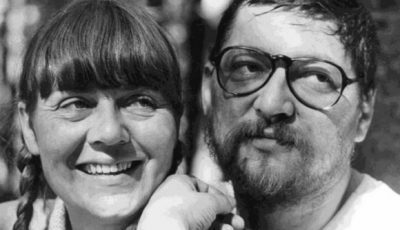 Rodney Twelftree looks at his ten best films as director. Next to Arnold Schwarzenegger, Clint Eastwood is probably the most famous living Hollywood legend still going around – and he hasn’t slept with anybody other than his wife. Eastwood is probably Arnie’s equal for the number of quotable lines uttered on-screen over his career. From the unforgettable “Go ahead, make my day” of Dirty Harry’s Sudden Impact, to the “Do you feel lucky, punk?” of Magnum Force, and Unforgiven’s “It’s a hell of a thing, killing a man” speech. 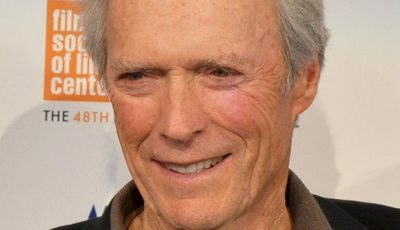 Eastwood’s steely eyed glare and tough-guy persona appealed to the rough and ready common man of the 60’s and 70’s, when he made his name starring in a number of films from spaghetti westerns for Sergio Leonie to hard-nut crime capers. 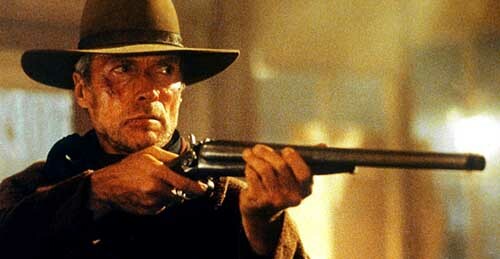 Eschewing actual emotion for a flint-sharp sarcasm and straight-arrow ethic, Eastwood’s screen career burned brightly throughout the 60’s, appearing as The Man With No Name in the now eponymous Dollars Trilogy, as well as Coogan’s Bluff, Paint Your Wagon (a musical, no less) and Hang ‘Em High. This continued into the 70’s, with roles in the Dirty Harry franchise of films, Joe Kidd, High Plains Drifter, The Outlaw Josey Wales and Escape From Alcatraz among his most famous action/western works. His film roles in the 80’s and 90’s were a little more of a mixed bag, with major successes like Pale Rider in 1985 and Unforgiven in 1992 (as well as In The Line Of Fire the following year) standing alongside critical failures like White Hunter Black Heart and Firefox, although the majority of his output continued to be at least financially successful. Along with being a major screen star, Eastwood turned his hand to directing with 1971’s Play Misty For Me, and since then has continued to direct as well as star in his own vehicles. With a keen eye for character and a terrific sense of pacing, Eastwood’s directorial career hit its first high with Unforgiven, bringing in both the Best Director and Best Film Oscars (among others) at that year’s Academy Awards. Eastwood’s next major success would be during the mid 2000’s, when 2003’s Mystic River, and 2004’s Million Dollar Baby would go on to be nominated for the very same Oscars once more, Best Picture and Director (as well as Best Actor, Best Actress, Supporting Actor and Actress) – with Million Dollar Baby scooping the pool. As a director, Eastwood has never been afraid to tackle different genres, from the Westerns he loved, to crime dramas (Midnight In The Garden Of Good And Evil, Blood Work, Sudden Impact), romance (Bridges Of Madison County), the ethereal (Hereafter), action (The Rookie), adventure (Space Cowboys), biography (J Edgar), and even a duo of war films – Flags Of Our Fathers and Letters From Iwo Jima. While his films haven’t always been met with astonishing levels of acclaim, there’s no denying that a perfect descriptor of an Eastwood production is “thoughtful insight” at the very least. While I’m no bubbling romantic, there’s no denying the exquisite nature of this wonderful, wonderful film. A film I’d describe simply as “charming” in both execution and endeavour, Bridges features yet another great role for Meryl Streep, and a solid leading-man effort from Eastwood, as the National Geographic photographer out on assignment who falls for a farmers wife. A gentle study in love, Bridges is a must for the doe-eyed viewer among you. 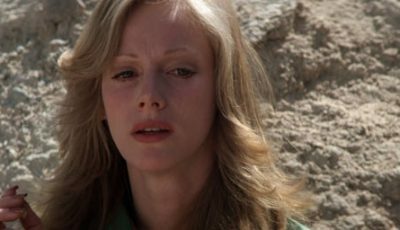 Representing the gritty, seedy nature of 70’s cinema, Josey Wales is among my personal favourite Eastwood pleasures, not the least because it features a quite revealing performance from one Sondra Locke – Eastwoods soon-to-be partner. 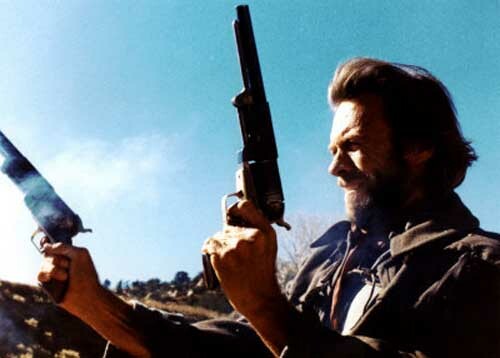 Pulpish and grimy, filled with a sense of gratuitousness of the era in which it was made, Josey Wales is almost the antithesis of later films like Unforgiven and Pale Rider – you almost feel like having a shower after watching it. The second of Eastwood’s forays into World War II (following on from the US-based Flags Of Our Fathers), Letters tells the story of the landing of Iwo Jima from the Japanese perspective. 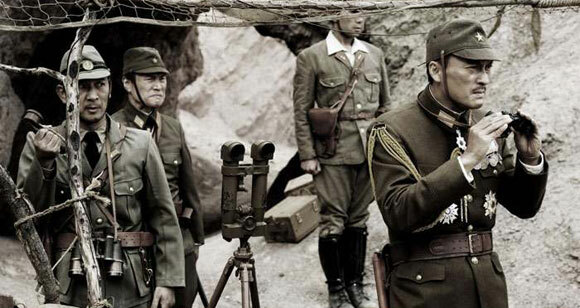 In what can only be considered a brave, nay a bold move from Warners, who allowed an American director helm an essentially Japanese film, Letters turned out to be a revelation in War Cinema. Less bombastic than its contemporary cousins, like Saving Private Ryan and even Flags Of Our Fathers, Letter From Iwo Jima is more a character study than an action film, and a subtle, sublime one at that. Clint’s first Best Director gong came with this powerful character piece, about a former killer called back into action after a prolonged absence from the lifestyle to raise a family. Eastwood starred as Bill Mumy, alongside Morgan Freeman, as a pair of grizzled mercenaries, on the hunt for retribution against Gene Hackman’s cruel Little Bill Daggett – they seek the bounty set by a group of whores for the attack by a cowboy against one of their own. Powerful, filled with a realism we’d not seen in a Western to that point, Unforgiven is an extraordinary film event that has not dulled in the years since. One of my personal favourite Eastwood films ever, next to High Plains Drifter, Pale Rider remains perhaps the great man’s most accomplished westerns, Unforgiven aside. Pale Rider has a simple premise: a mysterious stranger rides into a mining camp in the Old West and takes up the fight against an unscrupulous businessman to eradicate those miners from “his” land. Featuring one of Eastwood’s best quotes, “There’s nothing like a good piece of hickory”, as well as some terrific editing and a gangbuster finale, Pale Rider is among the most iconic western genre films of the modern era. Clint’s second Oscar win comes out of this searing ensemble piece about death, abuse and honor. Sean Penn and Tim Robbins scooped Oscars for their acting work here, as two men who are held captive by abusive pedophiles, before growing into men leading distinctly different lives. After the murder of one of their children, their past is once more brought into the spotlight as they seek to find the killers, which eventually leads to a shocking confrontation. 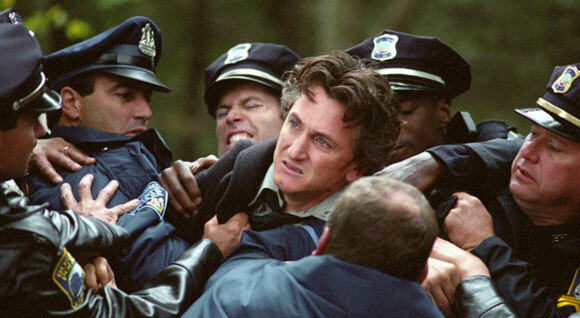 Mystic River is a hard film to watch, due to the subject matter at hand, but it is a superb film in its own right, and easily slots into our top 3. Easily Eastwood’s best effort behind the camera, thanks mainly to a wonderful performance by Oscar winner Hilary Swank, and ably backed up by co-star (and fellow Oscar winner) Morgan Freeman and even Eastwood himself. Eastwood won the Oscar for best Director, and the film picked up the Best Picture gong, completing a two year triumph for Eastwood after the previous year doing the same for Mystic River. 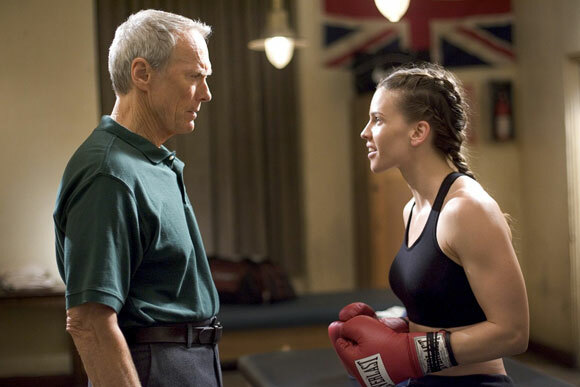 Part sports film, part human drama, Million Dollar Baby is captivating, shocking, emotionally gut-punching, and most of all, superb entertainment. Great list! But we disagree on the order of things. I don’t think Million Dollar Baby is his best effort by a mile. Several others you include outshine it and are far more memorable – Mystic River being one of them. 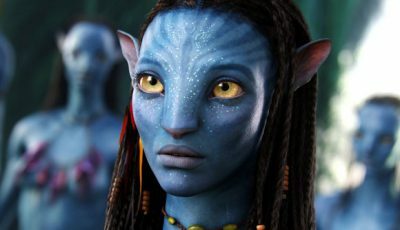 That film blew me away and, although difficult to watch as you note, features acting by a cast not equaled in many years. Enjoyed reading this. Except I have to say I take exception with the comparison of Eastwood and Arnold. Not even in the same league. Or perhaps I misunderstood that one. In terms of the their effect on pop culture, I’d say Arnie and Clint are in similar leagues…. just my opinion, of course, but they are both screen legends in one form or another. @Rodney: great stuff Rodney! Interesting that two of his newest films take the top two spots but I agree that he has got better and better as an director. Gran Torino is my favourite, the film is a marvellous character-centred drama-thriller. It is amazing how Eastwood makes us sympathise with such a nasty old man! RODNEY!! Great to see you contributing here again matey! I think I misunderstood your comparison of Clint and Arnie. As far as having had an effect on pop culture, I agree with you. I haven’t seen enough Clint Eastwood films but of the ones I saw: Bridges of Madison County, Gran Torino, Space Cowboys, In The Line of Fire, among others are indeed very good films. Oh Midnight in the Garden of Good & Evil is good, too. I think he’s light years better and more talented than Arnie though, and he’s got class. Nice list! I have yet to catch up on my share of Clint Eastwood films, but I can say that I very much enjoyed the top three: Mystic River, Gran Torino, and Million Dollar Baby. It’s no surprise to see him be so successful when he’s popping out movies like that one after another. One film of his I didn’t care much for was Hereafter. It just got too jumbled and weird for me. Clint Eastwood is The Boss. He’s had a very long, and very successful, career. He pretty much radiates ‘cool’ as well! Nice list Rodney. I’m not the biggest fan of Million Dollar Baby but glad to see Letters from Iwo Jima fairly high in the top 10. Personally, I don’t find Eastwood to be a particularly brilliant director. Gran Torino for example, is a solid movie but from a directing standpoint, I’m unimpressed. 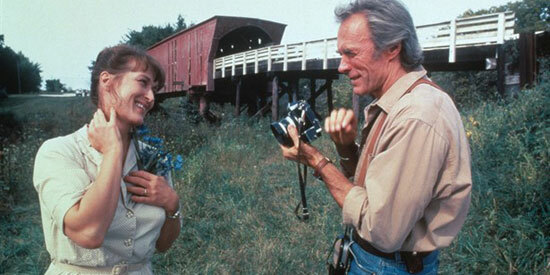 I’m glad you added Bridges of Madison County! A truly underrated Eastwood film. Wonderful list, Rodney. I am a big admirer of Eastwood’s films and those he’s personally directed. We all can disagree on the order of things, but not his talent (and Ruth is so right about him having way more class that Arnold). Great to see ‘Play Misty for Me’ in your group (I wrote up a celebratory piece on its 40th Anniversary last year). It really does hold up well. So, too, with ‘The Bridges of Madison County’. The novel it’s based on is a mess (still mind-boggling that it became a bestseller, but that’s another story). Clint really turned it into something quite endearing on film (and I, too, am not a bubbling romantic… well, sort of ;-)). ‘Unforgiven’ is my top pick of his work (and got to see it again on 35mm at The Autry Museum late last year). I enjoyed reading this. Thanks. Yes, excellent list Dan. So glad you rated Gran Torino highly. Not everyone’s favourite of Eastwoods efforts but for me, it was brilliant! Thanks for all the kind words guys! Glad to know the majority of you are in agreement with me! @Scott – thanks man.. although, I never actually left; I was busy elsewhere. But I’m always around! BWAAA HAAA HAAA!!! @ FilmRuss – Great line indeed! Thanks man! @ Aurora – No worries mate! @ Ruth – yeah, class is something Eastwood has in spades! @ Kristin – I haven’t seen Hereafter yet either (it’s in that pile on my desk though) but all the reports I’ve read seem to indicate that it’s a bit of a misstep for Clint. @ Claire – Ditto. Clint is definitely The Boss. @ Castor – Thanks dude: I think what Clint lacks in pizazz he more than makes up for in telling a story really well. I’d always favor that over shallow explosions. @ le0pard13 – I did enjoy Unforgiven, and I think the kudos it recieved is certainly warranted, but I think his later films (generally) have been more… complete as films. Thanks for the kind words! @ Mark – I’ll take that praise, even if it’s not directed at me! I haven’t seen many of his classics – something I’m trying to rectify. But I do adore Gran Torino. There’s something about that film, looks beautiful and Clint’s performance is just amazing. @Jaina: Yeah, Gran Torino was my favourite film of that year. A really impressive director-actor performance from Mr Eastwood. I would have quite a different list. I would have definitely placed Unforgiven first and Million Dollar Baby second. These two are a cut above the rest for me. Following I would have Mystic River and Letters from Iwo Jima. As for the rest, I am not too sure. I haven’t seen some earlier Eastwood films and others I haven’t seen in years. I do think that Gran Torino is a bit overrated, I gave it a 3.5/5 when I reviewed it not long ago. Thanks for sharing your thoughts. Good read! My fav Eastwood is Mystic River,really interesting to see him and Scorsese battled out in Oscar those years. Letters From jima is my number one, Million Dollar Baby coming in at two. Eastwood is actually probably my favorite actor of all time! Not at all a bad selection, Rodney. No arguments with the number one choice either. Million Dollar Baby is an incredible piece of work in all kinds of ways. However I do think that as good as Play Misty For Me and Space Cowboys are, they’re not in the top rank and I’d replace them with, first, Clint’s Charlie Parker biopic Bird, a film Woody Allen described as the best jazz movie ever made and had Steven Spielberg publicly complaining about Eastwood being left off the DGA list of nominees that year. It’s a dark, gloomy, fatalistic film with a serpentine, flashback-within-flashback structure that never loses its focus. Full of compassion for its protagonist it features one of the best performances Forrest Whittaker’s ever given. Second, Hereafter, essentially a European arthouse film that uses the subject of death to highlight the value of life. It’s an extrememly divisive film because audiences thought they were going to get Dirty Harry directing Jason Bourne in a thriller about a psychic who forsees disasters. That might be the impression you get from the trailer but it’s not that at all. Eastwood’s willingness here to luxuriate in the inner emotional lives of three characters from different parts of the world, and to convey their problems with such subtlety and delicacy marks him out as less the protege of John Ford and more the cousin of Yasujiro Ozu, one of the great masters of Japanese cinema. The unhurried pace and the almost complete disregard for conventional studio notions of plot and structure are equally controversial but I loved it. It’s a movie that in exploring how a close brush with death affects us throws up a barrage of ideas about fate, co-incidence, our differing cultural attitudes to death, the need for us to believe that it doesn’t just end when the lights go off and above all the humanist, very Eastwood-ian message that because we can’t know for sure what if anything awaits on the other side what matters most is just to live this life to the full. I think Hereafter is one of the best things Eastwood has ever done. Finally and with all due respect, I would not include Pale Rider. For me the film is the weakest of Clint’s self-directed westerns. There are interesting moments in terms of his direction but the film is too much under the shadow of Shane to qualify as a top ten choice. My replacement would be Eastwood’s stirring bio-sports movie hybrid Invictus. Here Morgan Freeman gives a sly performance as Mandela, keeping us guessing whether his motivation to rally the country around the hated white rugger team is an act of Christian forgiveness or shrewd pragmatism. 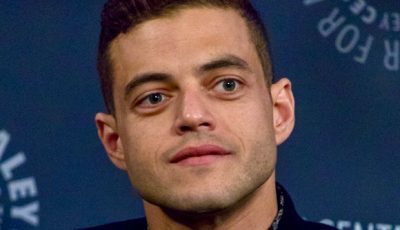 The white and black bodyguards forced to co-operate with each other entertainingly personalise the larger issues of national reconcilliation and the film doesn’t fall into the trap of making Matt Damon’s rugby captain either the noble white man or a student of Mandela. 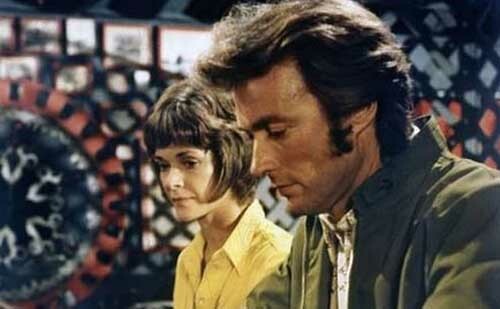 Eastwood takes on so much here and yet it’s a mark of his immense skill that he makes it all look so darn easy. And the film is absolutely full of superb scenes from the poor black township kids getting their first taste of rugby, to an exquisitely conceived visit to Mandela’s old cell on Robben Island, to the climactic match in which the director cuts to a black kid outside the packed stadium gradually edging closer and closer to a group of white guards listening to the match on their radio, a perfect metaphor for the country at that moment. 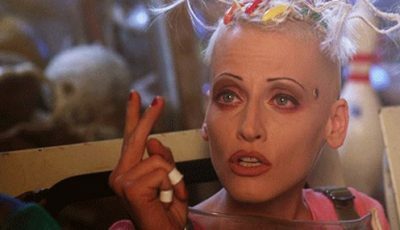 Because the film is so uplifting and so feelgood it’s become easy to dismiss with that cynical glibness that’s become all too common these days. But if you really look at the film and think about not just its message but the accumulation of subtle details we’re presented with that ultimately amount to a vivid snapshot of a time and a place you begin to see just how impressive a film Invictus is. That, at least, is my take. I enjoyed reading your comments, Rodney. Longtime Eastwood fan here signing off.